Megan Bucknum is a Lecturer in the Department of Geography, Planning and Sustainability at Rowan University in Glassboro, NJ where she teaches urban and food systems planning courses. Megan has previously worked as a consultant for food business consulting firm, New Venture Advisors LLC and has held staff positions at Philly CowShare, The Food Trust, Fair Food Philadelphia and the Wallace Center at Winrock International, as well as assisting with the University of Vermont’s inaugural Food Hub Management Certificate course. She has been a contributing author to the planning guide Building Successful Food Hubs, Healthy Food in Small Stores report, and the books “Reclaiming Our Food: How the Grassroots Food Movement is Changing the Way We Eat” and “Institutions as Conscious Food Consumers: Leveraging Purchasing Power to Drive Systems Change.” Recently, Megan has co-produced the Wallace Center’s Food Systems Leadership Network’s Visionary Voices podcast. Marcia Caton Campbell, MCRP, PhD is Executive Director of the Center for Resilient Cities (CRC). A 501c3 not-for-profit organization, CRC’s work pulls together many “systems” of a neighborhood: how we build community, how we feed ourselves, how we educate our children, how we produce energy and manage natural resources, how we create jobs, and how we design buildings and reclaim our neighborhood spaces. Marcia serves on the Mayor’s Green Team responsible for implementing the city’s sustainability plan, ReFresh Milwaukee. She co-chaired the Food Systems Committee of the Green Team during the sustainability planning process in 2012-2013 and co-authored the plan’s food systems chapter. Before joining the Center for Resilient Cities, Marcia was on the faculty of the University of Wisconsin-Madison’s Department of Urban and Regional Planning. There, her research and teaching focused on consensus building and community-based planning with diverse publics and on increasing access to healthy, nutritious, affordable, and culturally appropriate food through community food systems planning. 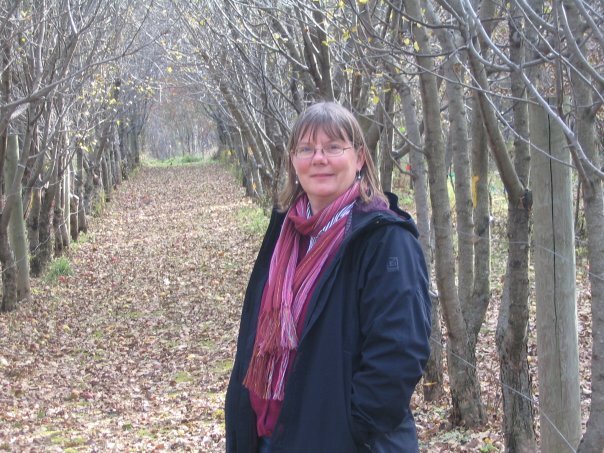 She has published a variety of articles on community food systems planning. 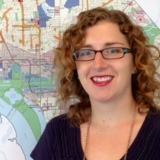 Laine Cidlowski, AICP, LEED-AP is the project manager for the Office of Planning (OP) for the Sustainable DC initiative to make the city the healthiest, greenest, and most livable city in the United States. It is a citywide initiative crafted for and by the city’s diverse community with the ultimate goal of making DC more socially equitable, environmentally responsive, and economically prosperous. Prior to joining OP in March 2008, she worked as Planner-Urban Designer for the Maryland National Capital Parks and Planning Commission in Prince George’s County Planning Department. She holds a Masters Degree in City and Regional Planning – Certificate in Urban Design from the University of Pennsylvania and B.A. Degree from the University of North Carolina – Chapel Hill in Environmental Studies. Laine is a member of the American Institute of Certified Planners, and serves as a Co-Chair for the American Planning Association Food Systems Planning Interest Group. Kimberley Hodgson, AICP, RD is the founder and principal of Cultivating Healthy Places, an international consulting business specializing in community health, social equity and resilient food systems planning. Her work focuses on conducting policy-relevant research and providing technical assistance to the public and private sectors related to the design and development of healthy, sustainable places. Prior to starting a consulting business, Kimberley worked for the American Planning Association in Washington DC as a Senior Research Associate and Manager of the Planning and Community Health Center. Currently, she is co-investigator of Growing Food Connections, a five-year project aimed at building local government capacity to enhance food security while ensuring sustainable and economically competitive agriculture. She also serves on the Vancouver Food Policy Council. Kimberley received an undergraduate degree from New York University in pre-medicine, a Master of Science degree in food policy and applied nutrition from Tufts University, and a Master of Urban and Regional Planning degree with a specialization in community health and sustainability from Virginia Tech. Ben Kerrick is a Senior Consultant at Karen Karp & Partners (KK&P), an NYC-based national consulting firm working at the intersection of food, agriculture, and health. Ben is a public service-oriented food systems professional with extensive knowledge of and experience with diverse food system stakeholders and projects. His work at KK&P includes community engagement, placemaking, food system mapping, data visualization, program and event design, and research and analysis. Much of his work has focused on regional and community-scale projects involving multiple stakeholders, primary and secondary research, and action plans for food system initiatives. In addition to extensive work in NYC, he has managed or supported KK&P projects in Maine, Louisiana, North Carolina, Connecticut, upstate New York, Michigan’s Upper Peninsula, California’s Bay Area, and the Mid-South Delta. Ben holds Master’s Degrees in City & Regional Planning and Environmental Science (Agroecosystem Science specialization) from The Ohio State University. Andrea Petzel, AICP is founder and principal of Broadview Planning, a woman-owned consulting firm specializing in urban planning services related to land use, health and sustainability. As a senior planner for the City of Seattle, Andrea developed one of the nation’s first comprehensive urban agriculture ordinances that helped increase access to local, healthy food. She continues this work serving on the Sustainable Agriculture Committee for the state chapter of the American Planning Association. In addition to her policy work on urban agriculture, Andrea participated in the development of Seattle’s Healthy Living Assessment, a framework to assess health impacts at the neighborhood level. The project was awarded a 2013 National Planning Achievement Award for a Best Practice from the American Planning Association. Kara Martin, AICP is the Director of the Food Innovation Network in King County, WA. For over fifteen years, Kara has been working to advance how community health and food systems intersect through the tools of community engagement, policy change, research, and partnership convening. Kara has experienced in community food systems assessments and addressing community health issues through comprehensive plans and development regulations. Currently, her work focuses on implementing community-driven food system strategies. and programs. In addition to being an American Institute Certified Planner (AICP), she attended the Built Environment Assessment Training (BEAT) Institute, where she received training in the most current tools used to evaluate the built environment’s effect on community health. She has lead the Washington APA chapter’s Sustainable Agriculture and Healthy Food Systems working group and served on the Washington State Food System Roundtable and Seattle Planning Commission. It’s fantastic to see all these women leaders!